Operating from three distinct but interlocking perspectives, this session will cover the lived experiences of three librarians (Black woman archivist, a White woman anti-racist public librarian, and a Black woman academic librarian) navigating collection development and collection development policies in a profession that is 85.2% White. This program will also provide strategies for accomplices and white librarians to support their colleagues and implement anti-racist collection development strategies at their institutions. Conner-Gaten, Aisha, Tracy Drake, and Kristyn Caragher. 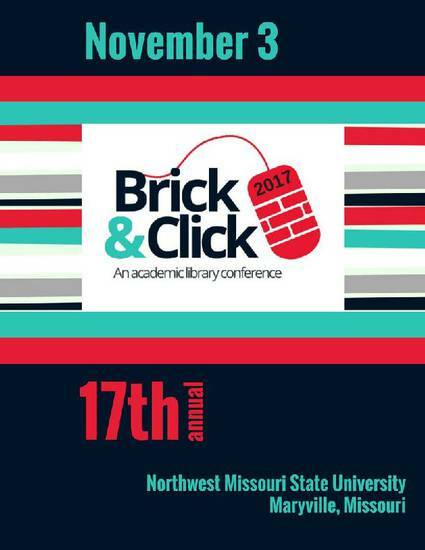 “Collections De-coded: Reflections and Strategies for Anti-Racist Collection Development.” Brick and Click: an academic library conference, 3 November 2017, Northwest Missouri State University, Maryville, MO, edited by Frank Baudino, Kathy Hart, and Carolyn Johnson, Northwest Missouri State University.